The annual Lauberhorn race that takes place in Wengen is one of the most well-known events in skiing - but for one Swiss man, it was more than just a race. It's one of skiing's classic races at an iconic venue on a leg-jellying track with a fearsome reputation. The Wengen downhill is the oldest, longest and fastest on the men's World Cup circuit, and one of those titles coveted by the speed freaks, like a grand slam in tennis or a major in golf. Its honors board is a who's who of downhill daredevils over the years. The historic race, which returns Saturday, is a two-and-a-half minute plunge down the Lauberhorn mountain in the shadow of the infamous Eiger and neighboring alpine giants the Monch and the Jungfrau. The start is high above car-free Wengen, which in turn sits on a sunny shelf above the Lauterbrunnen valley in the Bernese Oberland region of Switzerland. The town is chock full of timber-clad chalets and grand 19th century hotels, reached by a rack railway from the valley floor. "Wengen is like something from a chocolate box cover, it's just so atmospheric and magical. There's nowhere else quite like it," says Getty Images photographer Clive Rose. "It's my favorite place to shoot ski racing." The train trundles on up to Kleine Scheidegg, where tourists train telescopes on climbers on the Eiger's north face, or change trains to journey up through the mountain itself to reach the Jungfraujoch high above the vast Aletsch glacier. It's also the jumping off point for ski racers heading to the start hut on the Lauberhorn at 2,315 m (7,595 ft). The Lauberhorn race weekend, which also includes a slalom and a combined event, first took place in 1930 and regularly attracts crowds of 35,000 for the downhill alone. It traditionally precedes the blue riband Hahnenkamm downhill in Kitzbuhel, Austria. The twin classics are highlights of the alpine sporting calendar, but if Kitzbuhel is the gold standard, Wengen represents a timeless diamond, the quintessence of downhill derring-do. "There are a lot of beautiful things, a lot of special things," said Italian Christof Innerhofer, who won in 2013. "It's the fastest downhill, the longest downhill, with a beautiful panorama. Even going up to the start on the train -- it's very special to have won here." The revered racetrack is a 2.8-mile plunge down 3,373 feet to the tree-lined finish in Wengen, with heart-stopping speeds of nearly 100 mph reached on the Haneggschuss straight in the right conditions. France's Johan Clarey clocked the highest speed ever recorded in a World Cup ski race of 161.9 kph (100.6 mph) there in 2013. The course features some infamous features such as the Hundschopf, a blind 130 feet jump through a narrow gap. Then there's the Canadian Corner, the site of twin crashes by two of the "Crazy Canucks," Dave Irwin and Ken Read in 1976, and the Kernen-S, named after a 2006 spill by Swiss racer Bruno Kernen, and the Minsch-Kante, which hospitalized Josef Minsch for several weeks in 1965. The technical finishing turns and a jump followed by a compression into the line leaves many racers with nothing left in their legs, resulting in an ignominious stop in the crash mats. "It's a real course and a big test," adds Rose. "You see world-class athletes with their legs going, a bit like a marathon runner at the end, and they just can't stand up." The downhill has also been tinged by tragedy. In 1991 a 21-year-old Austrian named Gernot Reinstadler crashed into nets near the finish and later died of his injuries. "Wengen is definitely a unique race," American great Bode Miller, who won in 2007 and 2008, told the In Search of Speed TV show. "It's like four downhills all stuck together on one. There's no other downhill as physically taxing or as taxing technically. To win that race you have to have every facet of downhill skiing completely dialed in." Local legend Karl Molitor holds the record with six victories between 1939 and 1947 -- he went on to run the race for years and his name lives on in a Wengen ski shop, started by his father Fritz in 1912. 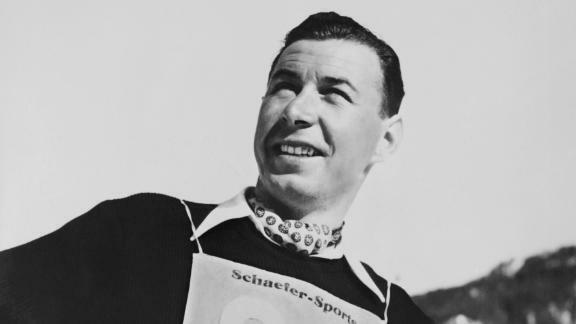 Austrian greats Toni Sailer, Karl Schranz and Franz Klammer were also multiple winners and all achieved the prestigious Wengen-Kitzbuhel double in the same season. The last skier to win the double was Swiss Didier Defago in 2009. The massed home fans love nothing more than a Swiss winner and Beat Feuz earned his second title in 2018 to take Switzerland's tally to 27 wins, three behind arch rival Austria. The legend of the Lauberhorn lives on.